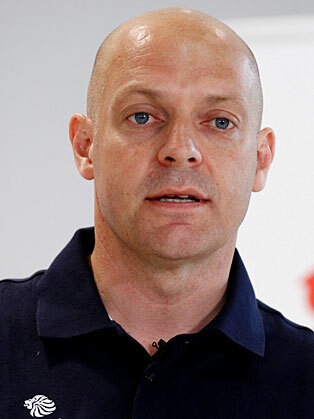 Dave Brailsford is Performance Director of Team GB’s Cycling Team. Heroic success in London 2012, Dave is a fabulous motivational and teamwork speaker ideal to inspire any audience at a corporate event. In 2008, the Team GB Cycling team arrived home from Beijing, draped in fourteen medals – including eight of the nineteen golds, becoming one of the most successful in the games’ history. This triumph brought Dave much critical acclaim, including the BBC Sports Personality of the Year - Coach Award (an honour previous bestowed on Sir Alex Ferguson, Sir Clive Woodward, and Enzo Calzaghe), and a CBE. Dave spent four years as a competitive cyclist in France before returning to the UK to study for his first degree in Sports Science. He subsequently went on to study for an MBA at Sheffield business school. Dave has been involved in cycling throughout his career and was first employed by GB Team as a consultant following the advent of lottery funding. He then moved on to become Programmes’ Director before becoming Performance Director. He brings to the role a blend of sporting knowledge and business acumen, which he has utilised to lead and develop the team into one of the most respected and successful Olympic Programmes across all sports. Brian Cookson, British Cycling President said: “Dave's progress and achievements since joining us a few years ago have been remarkable. His enthusiasm and professionalism, combined with his love for our sport and commitment to his job, are second to none, and I have every confidence that he will achieve even more in his role with us in the future". Dave speaks about the importance of focus, motivation and teamwork, and how leaders must deal with different people and their reactions to success and failure.